Today, Newcastle based retailer SoleHeaven launch the new ‘Apparel Dept’ to their online store, adding to their current collection of footwear and accessories with clothing from a number of brands. 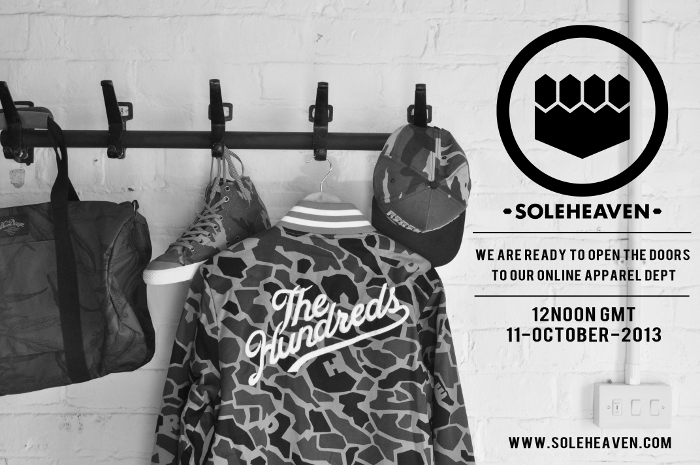 SoleHeaven has for a long time been a specialist in footwear, building their selection to include headwear, bags and luggage more recently. The latest move sees the store incorporate clothing from existing brands like The Hundreds, Diamond Supply, and 10.Deep, and more, with more sure to follow in the coming seasons. The Apparel Dept launches at 12 noon today, check it out at SoleHeaven and visit them on facebook for an introductory discount code.